OK - that is brilliant. I attacked my old Converse with many colors of Sharpie...I only wish I would have thought about studs first! 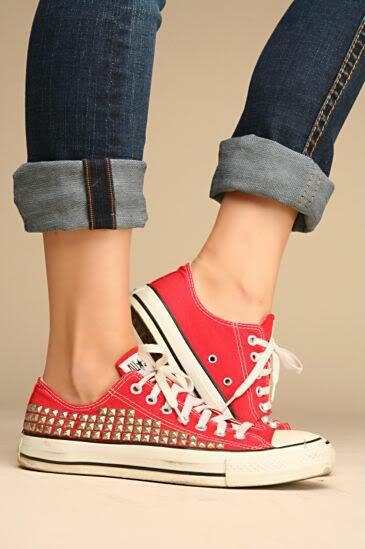 I personally vote for the pyramid studs..they seem less dangerous if you stepped on them with bare feet! OUCH.